Parents may think that foods marketed for children, using cartoon characters and promoted for lunchboxes, might be healthier options than the equivalent foods marketed more for adults. However, a new study led by Dr Kirsten Rennie from the University of Hertfordshire’s Centre for Lifespan and Chronic Illness Research has found that it is the opposite. With the rise in childhood obesity across Europe, there has been much attention on how governments can reduce the advertising of products with high fat, sugar and/or salt levels directly to children. Much of the focus has been on snack foods like confectionery and soft drinks. However, the study found that foods marketed to children that are often considered to be ‘healthy’ foods, such as yoghurts, cereal bars and ready meals, were still found to be higher in fat, sugar and salt than those marketed to the general population. These foods often had substantially more fat and sugar per 100g than similar adult-version products. This is very worrying for parents when they are choosing appropriate healthy foods for their children. Now is a good time for food manufacturers to look at their child-orientated products and think about how they can improve them. 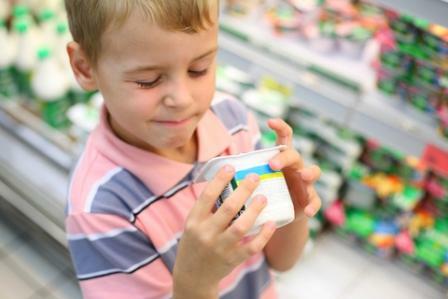 But are more guidelines needed in regulating food marketed to children? The research paper “Marketing foods to children: A comparison of nutrient content between children's and non-children's products” is published in Public Health Nutrition Journal. #itvtonight itv.co/14P6AiP #UHresearch at 19:40mins into the programme. eating the yoghurts and sharing their thoughts with the camera!